"Open to everybody on PS4, Xbox One and PC"
EA has announced today the dates how long the Star Wars Battlefront beta will last next month. The beta begins on October 8th and ends on the 12th. It is also open to everybody on the Playstation 4, Xbox One and PC along with Origin folks being able to pre-load the night before on PC. The two modes we seen from E3 are playable, which are the 40-player Walker Assault at Hoth and solo/co-op Survival Mission at Tatooine. Also playable in this beta is the 16-player Drop Zone at Sullust where players have to control escape pods that crashed down. 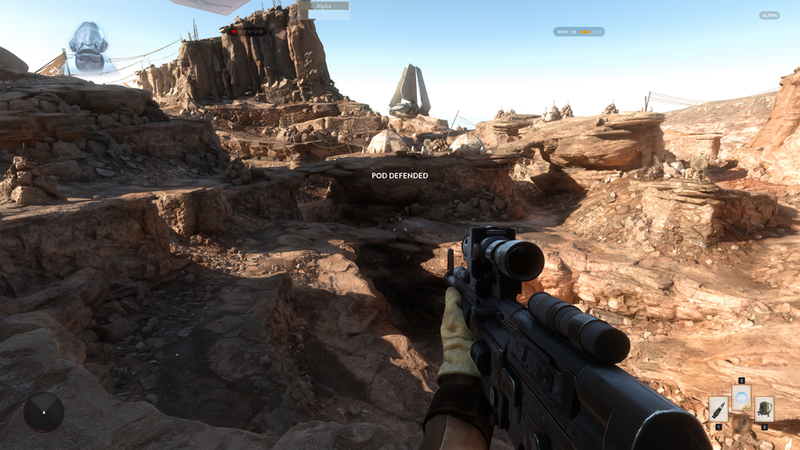 There is a level cap at five for the Star Wars Battlefront beta, but you can still unlock items while maxed out. Plus the beta is not that big of a download being about 7GB on consoles and 11GB on PC. Star Wars Battlefront comes out on November 17th on the Playstation 4, Xbox One and PC.